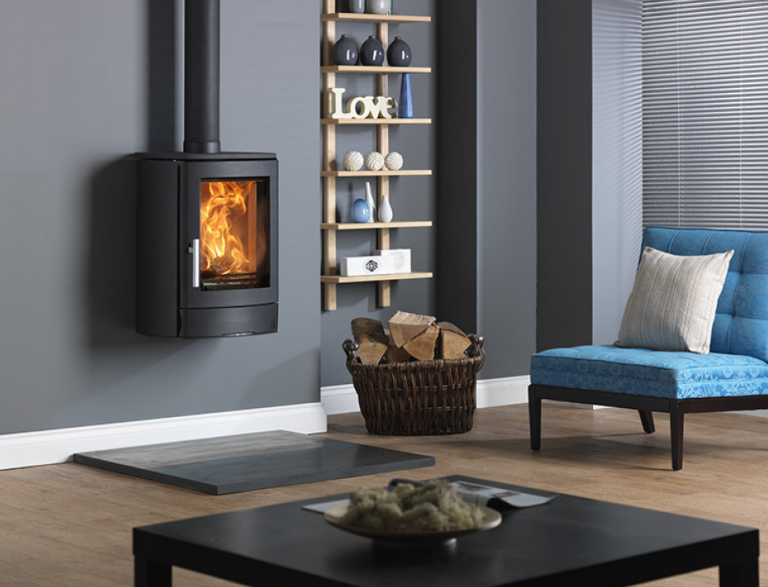 The NEO 1W has been designed to be wall mounted bringing a new dimension to contemporary real fire heating. With a simple to use single air control and an easy to empty ashpan which slides towards you to enable the lid to be fitted and then lift the ashpan out and carry outside safe in the knowledge the ashes are safely contained and won't blow about in the wind, the NEO has been designed for ease of use. See our YouTube video to see how this works. The large glass door is kept clean by a powerful airwash system to give excellent views of the fire. 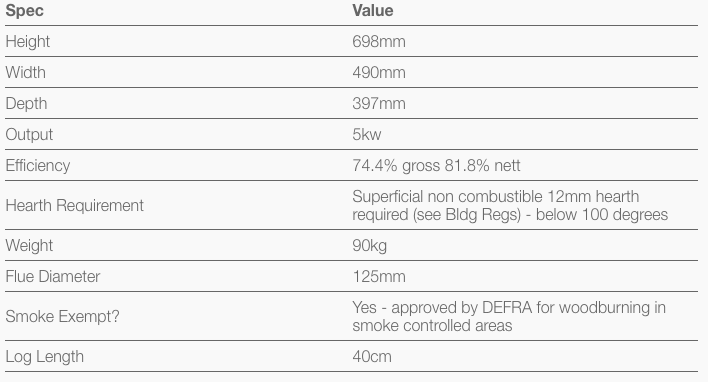 The NEO also benefits from DEFRA approval allowing you to burn wood in smoke controlled areas. Supplied with a multifuel grate you can also burn smokeless fuels allowing you greater choice when it comes to chosing which fuel to burn. An optional woodburning grate is also available.